Marquees have been widely used for events for a long time but they are by no means the only option available. Using a tent or temporary structure for your celebration means you can hold it virtually anywhere although most people will choose the grounds of a stately home, hotel or private residence or farmland. So if you fancy celebrating your special occasion under canvas, check out our list of potential pop-up venues you could choose from. The most traditional temporary structure to be used at weddings or large events. 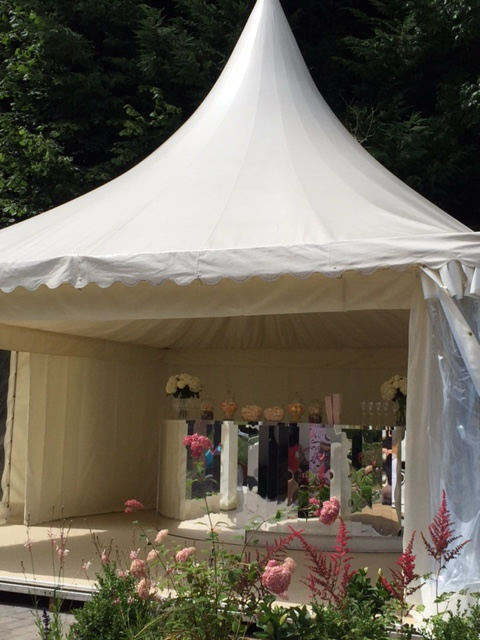 Marquees come in all shapes and sizes and are essentially a blank canvas, which can be decorated according to your theme and colour scheme. There are two kinds of marquee – those which act as a large tent with poles, pegs and guy ropes and those which come with an aluminium frame. An excellent choice for small intimate parties or weddings, a giant hat tipi is a conical tent which originated from North America. For bigger events, several tipis can be joined together to create a larger indoor space. Large round tents with curved lattice walls, these are a great alternative to a marquee. Often associated with festivals and glamping, yurts can easily be dressed up with luxury decorations and furnishings. This is a great option for people who love the great outdoors and want a venue which celebrates the natural surroundings. This is an affordable and versatile option, offering great value for those whose budget won’t stretch to a marquee for their wedding or event. Made from strong, waterproof and stretchy material, stretch tents can cover any area and can even be added on to a building to create more space or add a chill-out area. Small marquees with peaked roofs, Chinese Hats can be erected in groups to create an unusual and quirky venue. Simple yet eye-catching, they can also be used on their own as an additional feature like an outdoor bar or an area where your guests can relax. When you think of big tops, you probably think of a circus. But these large round tents are a great choice when it comes to large weddings and events. With wooden poles and canvas walls, this pop-up venue really makes a statement and can accommodate a large number of guests. Bell tents are a cone-shaped temporary structure supported by a central cone. Most bell tents are too small for all but the most intimate of celebrations but they make excellent guest accommodation or chill-out areas. They are also a great choice for small gatherings, weddings and parties. Exotic and elegant, these tents add a touch of Eastern romance to an event. Available in a wide range of sizes, they conjure up images of the era of the British Raj. They can be used with canvas walls to create an enclosed space or without to form a canopy in an outdoor venue. If you need help finding a venue which is right for you, Papillon Events can help. We organise weddings, private parties and bespoke events in a wide variety of locations and can help you turn your vision into a reality. In addition to sourcing luxury venues, we offer a full event planning service in London and the Home Counties. We will make sure your celebration is everything you’ve dreamed of with exceptional food and drink, memorable music and entertainment and helpful and efficient staff who will keep your big day running smoothly. Share the post "Which pop-up venue should you choose for your event?"